Sunburn happens when skin is exposed to sunlight too long, redness may develop and increase for up to 24 hours. A severe sunburn causes skin tenderness, pain, swelling, and blistering. Additional symptoms like fever, chills, upset stomach, and confusion indicate a serious sunburn and require immediate medical attention. It is an acute cutaneous inflammatory reaction that follows excessive exposure of the skin to ultraviolet radiation (UVR). UVR exposure can come from a variety of sources, including sun, tanning beds, phototherapy lamps, and arc lamps. There are long-term adverse health effects of repeated exposure to UVR. 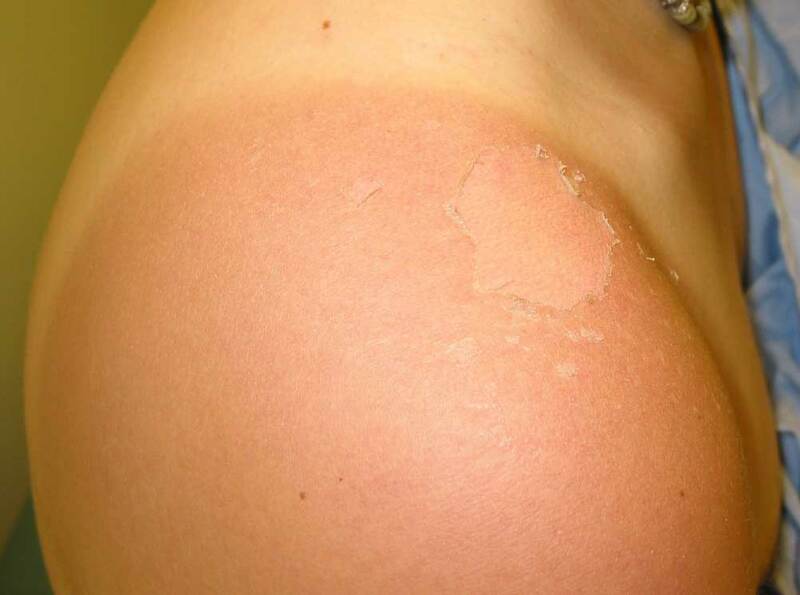 Sunburn is generally classified as a superficial or first-degree burn. In most cases, prehospital care involves providing simple first aid to treat patient symptoms. In severe cases, patients may develop second-degree burns, which could require aggressive fluid resuscitation and skin care.